The eyesore that is the collapsing Leader Dye factory in the Riverside section could be demolished in matter of weeks. The city is awarding a $1.13 million contract to demolish the huge structure that sits on the corner of Madison and 3rd Avenues. Totowa-based Two Brothers Contracting is being considered for the contract. It is the “lowest responsible bidder” among five firms competing for the contract. Bids ranged from $1.13 to $2.28 million to demolish the factory at 102-124 Madison Avenue. Some hope the demolition of the building, which has been a safety risk for School 18 students, will pave the way for new development in the area, similar to what has occurred on McLean Boulevard. The structure sits in an area that has been described as a likely prime retail spot. It’s not clearly what kind of development the city will seek to lure to the spot. Economic development director Ruben Gomez did not respond to a call for comment on Monday. The city last year agreed to take out a $1.98 million zero-interest loan from the state through the Urban and Rural Centers Unsafe Buildings Demolition Bond Act for the demolition of a number of unsafe buildings throughout the city. Municipal officials also awarded a $109,000 to demolish the rotting former Head Start building at 63-95 Clinton Street. Five firms submitted bids ranging from $109,000 to $495,000. 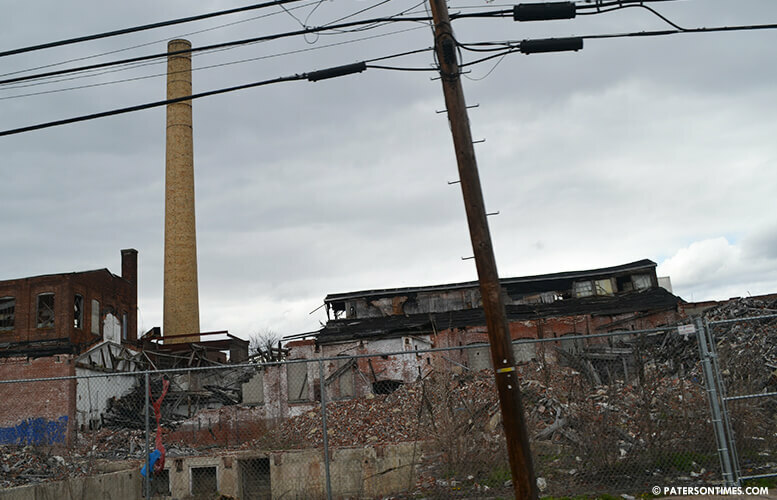 East Hanover-based Caravella Demolition was the “lowest responsible” bidder. Correction: A previous version of this report erroneously stated the contract for Leader Dye factory was awarded. It remains pending before the council.